International expertise for in-house customised technical and management skill training, and quality assurance audit for Pharmaceutical, Biotechnology, Medical Device and Healthcare organisations. Welcome – who we are and how are we different? High value-added customised technical and management training for the Biopharma sector. This includes pharma companies, and also medical device, biotechnology organisations and healthcare organisations such as research sites and Universities. We are different through offering not just a outstanding level of training and experience across a wide range of Biopharma topics including both technical and personal skills. 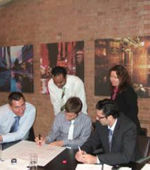 Also with a proven track record of delivery of customising training courses, QA and very flexible consultancy. Our Approach – What we do and how? We can diagnose, design, and deliver practical training for Biopharma technical and management training needs. Through our expertise and care we aim to raise the competence of your organisation’s people to best-in-class. We achieve this through a balanced and highly stimulating learning mix of knowledge/process input, practical application and action planning and implementation support. We can also assist with competency assessment, and shift in behaviour and knowledge levels and application – before and after any intervention, and with the appraisal of the value added by the training.